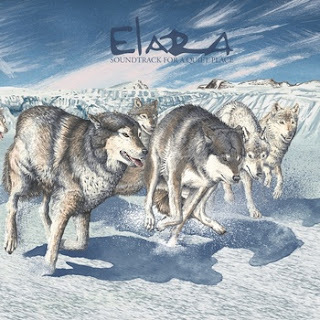 Fluttery Records has just released a brand new EP from an Italian band called Elara. The description of the band is what intrigued me the most, so I listened to the new EP. "Soundtrack for a Quiet Place" is three brilliant cinematic post rock tracks. I found this release to be extremely impressive. For music with the usual post rock centerpieces of screeching guitars over ambiance, this album counters with a grand orchestral backdrop that brings to mind film scores. When you try to envision what this sounds like, imagine a cross between Mono and If These Trees Could Talk. These three tracks generate an emphatic atmosphere that underscores guitar distortion with smooth, repetitive riffs. The string arrangements permeate this atmosphere with a tangible quality almost reminiscent of later Romantic-era works, but emphasize epic cinematic qualities. This is the best I can describe the music in this EP. What I can tell you is that I was completely floored when I listened to it. This was very impressive work that made me wish it was a full-length album rather than an EP. Still, Fluttery Records is not asking for a ton of money on this one so it is worth it to check out. "Soundtrack for a Quiet Place" is available through Fluttery Records' bandcamp page, as well as their website. It is also available through Amazon if, like me, you prefer that route. Check out the full stream of this glorious EP with the graceful wolves on the cover below. Thanks for reading and enjoy!